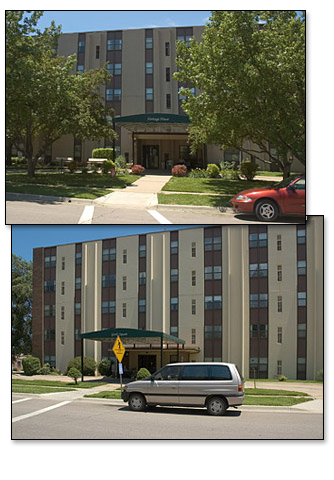 Gordy Square and Heritage House Apartments are independent, low income senior living at an affordable cost for individuals 62 years of age or better. Rent for the one bedroom units is based on income and we pay all the bills and include cable for only $8.00 per month. Amenities include medical pull cords in the bedroom and bathroom, double paned windows, heavy insulation, laundry facilities and beauty shop on site, 24-hour emergency maintenance and handicapped accessible barbecues and picnic tables. Residents enjoy daily activities including exercise class, bingo, monthly breakfasts, birthday parties and suppers, as well as other special events throughout the month. Come home to us!